For sale is a Dunlop JH-2 Jimi Hendrix Fuzz Face effects pedal. This unit works perfectly, and sounds great. For sale is a Dunlop FFM1 Mini Silicon Fuzz Face effects pedal. This unit works perfectly, and sounds great. Like its larger predecessor, it’s loaded with the silicon BC-108 transistor for a round and dirty crunch. Use the Buffer switch on the side to make the fuzz play nice with wah pedals. 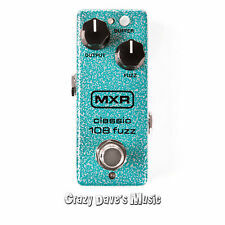 MXR CLASSIC 108 FUZZ (MINI). This is the classic fuzz box used by Jimi Hendrix, Eric Johnson, and more. Dunlop Fuzz Face Distortion Pedal. The classic fuzz box used by legendary rockers of the ’60s and ’70s. Built to the exact specifications of the Original Dallas-Arbiter Fuzz Face. Poring tirelessly over all of the different customized circuit designs Jimi used over the years, our engineers narrowed down this elusive fuzz tone to a version of the Octavio® circuit that didn’t have the octave up signal. Silicon transistors spec’d from a 1970 Fuzz Face pedal. In stompbox lore, the Fuzz Face Distortion sits among the icons. With a roster of power users that includes guitar legends and modern heroes from David Gilmour and Jimi Hendrix to Eric Johnson and Joe Bonamassa, the Fuzz Face has a unique, unmistakable sound no matter the player. Based on mid '60s Fuzz Face pedals with slightly mismatched germanium transistors. Hendrix was the master of fuzz, an artist with many subtle shadings at his command. The Hendrix Fuzz Face is built around the toneful BC108 silicon transistor. It is authentic in every detail, a handwired brown circuit board with no solder mask and circuitry carefully matched to the original specs. Dunlop Silicon Fuzz Face Mini Distortion Pedal. Silicon transistors spec’d from a 1970 Fuzz Face pedal. Legendary Fuzz Face tones in a pedalboard-friendly housing. Amplifiers & Effects. Woodwinds & Brass. Increased headroom for dynamic, wide open sound. 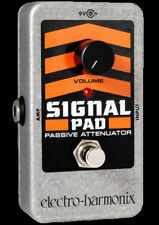 Way Huge Conspiracy Theory Overdrive Pedal. Conspiracy Theory. This is the overdrive pedal that THEY don’t want you to know about! Developed in total secrecy by a shadowy organization embedded deep within the deepest of states, the Way Huge Conspiracy Theory Professional Overdrive is reported to bring forth unparalleled sonic delight. The Hendrix Fuzz Face is built around the toneful BC108 silicon transistor. It is authentic in every detail - a handwired brown circuit board with no solder mask and circuitry carefully matched to the original specs. Mini Fuzz Face FFM6. Live at the Fillmore East - using a mysterious red Fuzz Face Distortion with white knobs. Poring tirelessly over all of the different customized circuit designs Jimi used over the years, Dunlop's engineers narrowed down this elusive fuzz tone to a version of the Octavio circuit that didn't have the octave up signal. 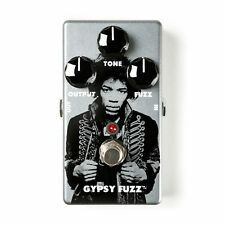 The classic fuzz box used by Jimi Hendrix and other legendary rockers of the '60s and '70s. Uses the original Germanium PNP transistor. 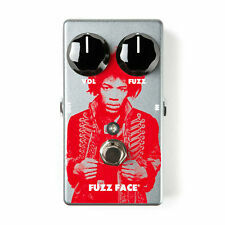 Fuzz Face Guitar Effects Pedal. Classic fuzz used by Hendrix and others. Dunlop FFM2 Germanium Fuzz Face BRAND NEW WITH WARRANTY! FREE 2-3 DAY S&H IN US! Only the pedal itself is included. I will work with you to make things right. 90s Dunlop Fuzz Face JDF2 Guitar Effect Pedal. Item works flawlessly. Slight wear from general use. Released in 2012 as a part of MXR's Jimi Hendrix 70th Anniversary Tribute Series, the 70th Anniversary Octavio is a recreation of the classic silver wedge Octavio octave fuzz pedal that was perennially present in Jimi's rig. Dunlop Silicon Fuzz Face Mini Distortion Features Circuitry based on a 1970 Fuzz Face with its matched BC108 silicon transistors. Legendary Fuzz Face tones in a pedalboard-friendly housing. Jimi Hendrix JHM5. Dunlop JHM5 Hendrix Fuzz Face Distortion Guitar Pedal. Harness one of the most coveted tones in history with the Dunlop Jimi Hendrix Fuzz Face. Jimi's late-'60s Dallas Arbiter Fuzz Face. Used Dunlop MXR Mini M296 Classic 108 Fuzz Guitar Effects Pedal! Like its larger predecessor, it’s loaded with the silicon BC-108 transistor for a round and dirty crunch. Use the Buffer switch on the side to make the fuzz play nice with wah pedals. Excellent Condition. Works Great. Original box is included. Manual is included. This pedal is built around the toneful BC108 silicon transistor. It is authentic in every detail, featuring a hand-wired brown circuit board with no solder mask and circuitry carefully matched to original specs. The Dunlop Fuzz Face Mini is a truly playable collectible for any Fuzz Face fanatic. Amazing Germanium tone! Very good condition, with slight scuffs visible to the finish including some previous marker settings & missing battery clip. Box included! Please see the attached high-resolution images as these form part of the items condition & originality description. Worldwide tracked shipping! 'Pedal Pawn' stock the UK's largest supply of vintage, rare & original stompboxes. Whether you're chasing your dream guitar pedal, or just simply want to nerd-out over gear - we'd love to hear from you at Pedal Pawn! TIN JHPTO8M. Mini Fuzz Face FFM6. Live at the Fillmore East - using a mysterious red Fuzz Face Distortion with white knobs. Poring tirelessly over all of the different customized circuit designs Jimi used over the years, Dunlop's engineers narrowed down this elusive fuzz tone to a version of the Octavio circuit that didn't have the octave up signal. Used- Tested and works. Item has light wear due to general use. Includes pedal only. Batteries are not included. This Unassuming Little Box Shovels Out Enough Low Frequencies To Frighten A Blue Whale. It Takes Your Guitar Signal, Fuzzes It Up, Then Duplicates It Two Octaves Down. Using It 100% Wet Is Quite An Experience, But More Recognizable Sounds Will Appear As The Dry Signal Increases. Poring tirelessly over all of the different customized circuit designs Jimi used over the years, our engineers narrowed down this elusive fuzz tone to a version of the Octavio® circuit that didn't have the octave up signal. Dunlop Way Huge WHE406 Electronics Conquistador Fuzzstortion Fuzz Pedal! Used Dunlop Way Huge WHE406 Conquistador Fuzzstortion Guitar Effects Pedal! Want to know what the Conquistador Fuzzstortion sounds like?. Take a giant Velcro strip and tear it apart with great vigor, and you’ll have your answer. Jimi Hendrix JHM8. The housing features artwork from legendary rock artist Gered Mankowitz. Chromatic tuner for Guitar, Bass (reads a low B), Violin, and Ukulele. Featuring iconic Hendrix art from legendary rock artist Gered Mankowitz. Model FFM6. Ora, è possibile ottenere lo stesso tono di Fuzz Face che Jimi utilizzato per corteggiare le masse ad alcune delle sue interpretazioni più famose. Model M292. 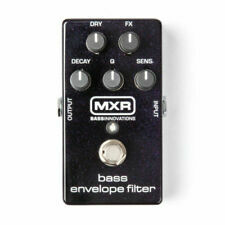 MXR® COPIA CARBONE® DELUXE RITARDO ANALOGICO. Il Carbon Copy Analog Delay Deluxe aggiunge uno stuolo di nuove funzionalità per ottimizzare il suono caldo, organico che ha reso l'originale il ritardo analogico più venduto nel mondo. Model JHM9. JIMI HENDRIX™ BAMBINO PIANGERE® MINI WAH. Model JHM6. JIMI HENDRIX™ OCTAVIO® FUZZ. Für diese verwendete er ein mysteriöses, rotes Fuzz Face mit weißen Reglerknöpfen. Dieses Fuzz klang ganz anders als die anderen aus seinem Arsenal, mit deutlich aggressiverem und bissigerem Sound. Seit vielen Jahren sind Hendrix Fans auf der Suche nach diesem Sound und glücklicherweise ist diese nun endlich vorbei. Correrà via un adattatore 9v o un adattatore 9v. Die Stromversorgung erfolgt über Batterie oder Netzteil. Dunlop FFM 2 Germanium Fuzz Face Mini Distortion. Model EJF1. Nessuno si preoccupa più per tono di Eric Johnson e la sua scelta per ottenere dolce, toni di piombo di canto è Eric Johnson Signature Fuzz Face. "Ho sentito il Fuzz Face quando avevo circa 12 e mi è piaciuto giocare attraverso di esso," dice. ".